We are excited to be hosting a Show and Tell event in Astana on June 22nd. 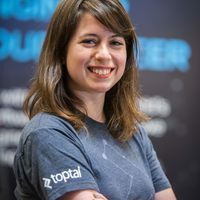 This is a great opportunity to share ideas and meet fellow Toptalers, including Asia Lindsay, Toptal Community Lead for Europe, and if you’re not yet familiar with Toptal, this is the perfect place to learn more about it. Join us at Na Kryshe (On The Roof), from 7:00 to 9:00 PM.